Another day with warmer weather, and I felt like going somewhere that wasn’t too challenging. 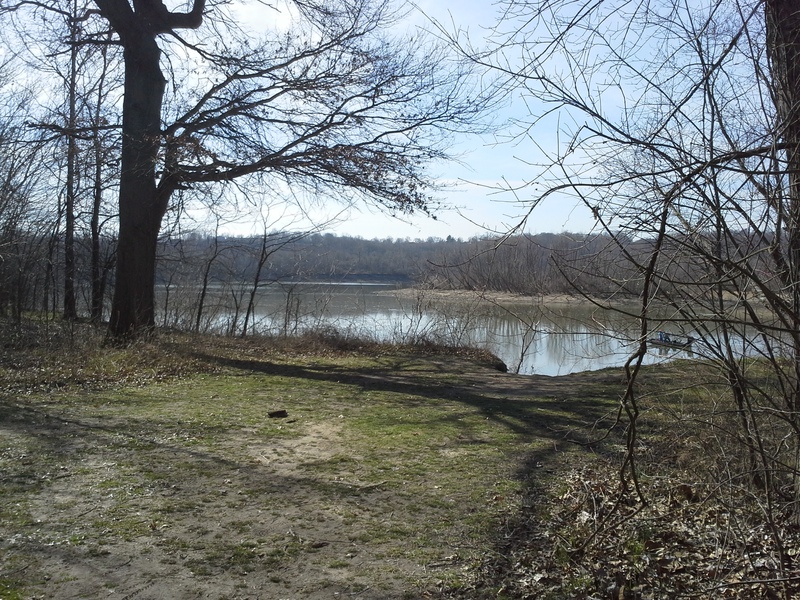 I headed Down 55 to the river, to Lower Meramec Park. This is an area in the flood plain of the Meramec River, just west of 55 on the St. Louis County side. 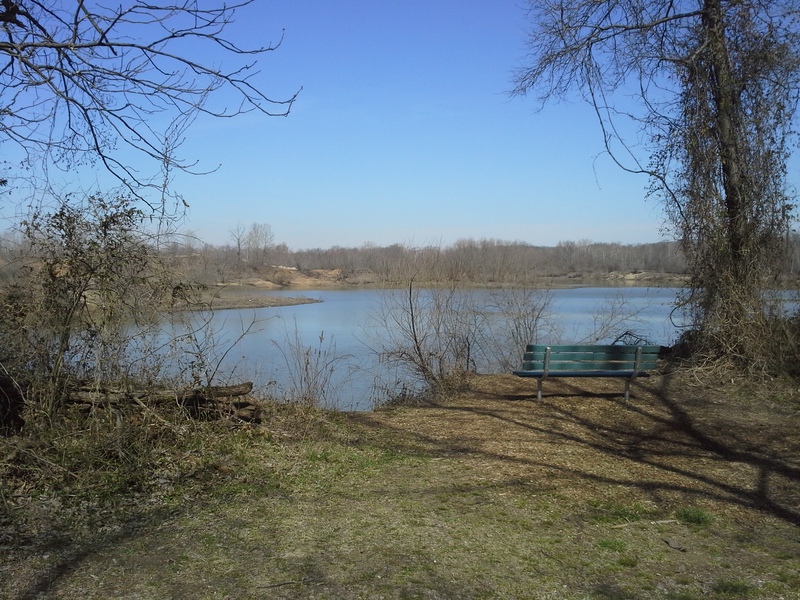 It is part of the Meramec Greenway which is an organization put together in the 70s to protect the natural areas along this river. It is actually a very impressive partnership between many municipalities and state organizations, and was joined in 2001 by the Great Rivers Greenway, which was established to protect and enhance many natural areas right in and around the St. Louis Metropolitan area. They have done great things in bettering the conditions of local waterways and providing all of us with maintained, local trails and park areas which a lot of people get quite a bit of enjoyment and exercise out of (Grant’s Trail, anyone?). So there are 2 trails at this park. 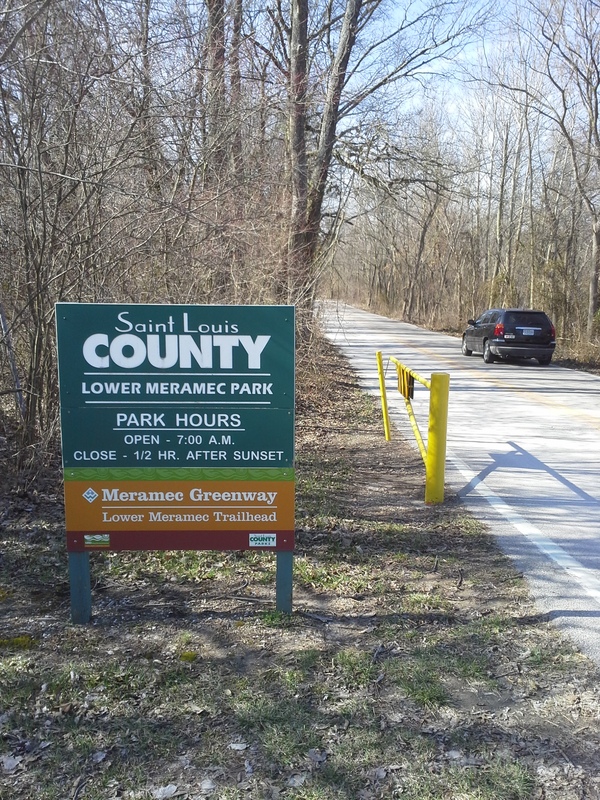 The main one is the Meramec Greenway trail which is a paved, 2 mile long, parking lot to parking lot path that follows the river for a bit and then turns to parallel highway 55. 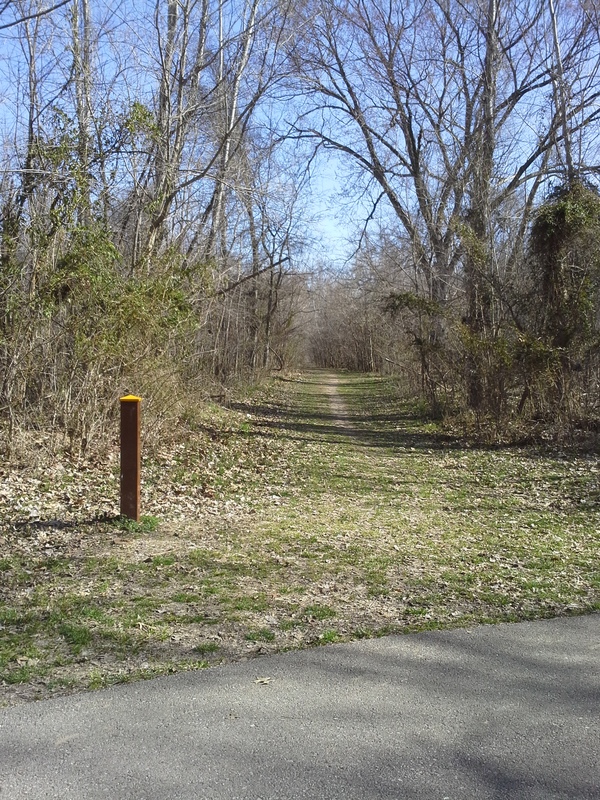 The Tall Timbers trail loops off of and back to the Meramec Greenway trail, and is just over a mile long. This one is a dirt path, and I like to hike down the main trail to this one, loop around, and then retrace my steps to the parking lot. From 55 and 270, take 55 south toward Arnold. The last exit before the river is Meramec Bottom Road. Get off the highway here and make a right. Almost immediately on your left is the first parking lot and trail head. If you continue down Meramec Bottom Road, past the farm and soccer fields, you will come to Holzers Park Drive on your left. This is the road to the second parking lot and the trail head on the other end. 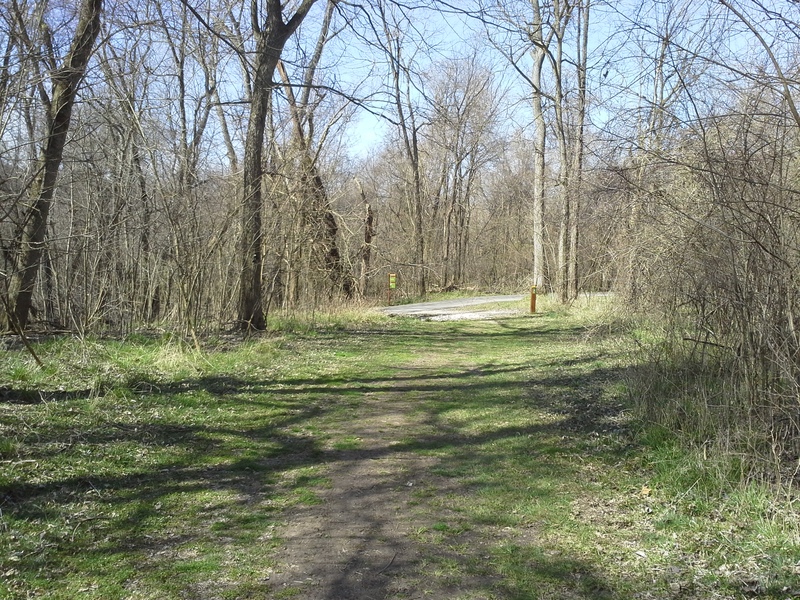 I usually park at this one because it is closer to the Tall Timbers trail. They are flat, so you don’t have any challenging up and down to get the heart and lungs going. It is a more relaxing hike for me than most other trails. 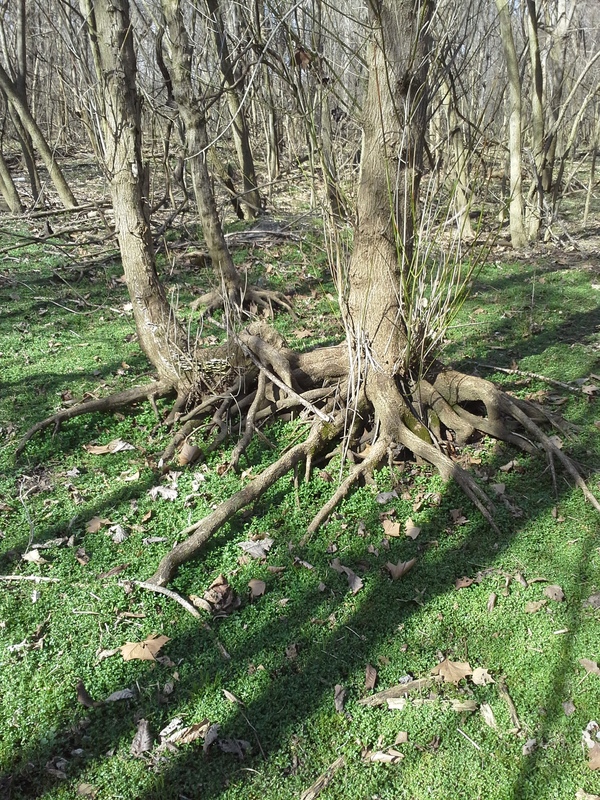 They aren’t too long, and there are a few spots along the river that can be kind of scenic. Being in a flood plain, it has a southern, swampy feel to it. It reminds me of the years I lived in Florida during my childhood, and I like walking through imagining an alligator is just around the bend. There is a lot of life in this area, and you will come across deer and raccoon tracks if you pay attention. I have also found quite a bit of different mushrooms at various times of the year, walking off trail. Being in a flood plain, there are parts of the Tall Timbers trail that will be muddy, if not actually wide pools of standing water. Bring the galoshes, and probably some bug spray in the warmer months. The Tall Timbers trail crosses Meramec Bottom Road twice, and I have witnessed people tearing down the straight section after the soccer fields much faster than they needed too. Keep your dog on its leash. With cars in mind also, the interference of the traffic noises to the ambiance of the nature around you can border on disrupting at times. It isn’t so bad when you are closer to the river, but it can snap you out of that wonderful mental lull that comes from strolling amongst the trees. Overall, this is a nice little area with low impact trails that offer a more unique type of forest than a lot of other trails nearby. Perfect for when you want to get out for just a little bit, but don’t want to go too far or work too hard when you get there.